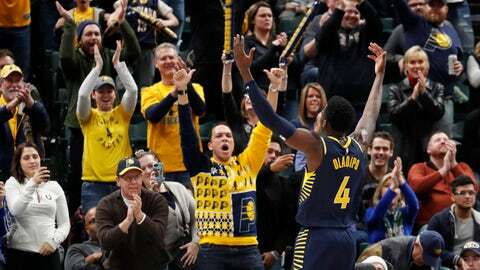 Victor Oladipo and the Pacers will open the season in front of a Bankers Life Fieldhouse crowd. The Indiana Pacers will open their 2018-19 season at home against the Memphis Grizzlies on Wednesday, Oct. 17, the team announced Friday. The Pacers’ next game will be on the road. The play at Milwaukee on Friday, Oct. 19. The Pacers will have two long homestands in 2019: Jan. 15-23 (Phoenix, Philadelphia, Dallas, Charlotte and Toronto) and Feb. 5-22 (L.A. Lakers, L.A. Clippers, Cleveland, Charlotte, Milwaukee and New Orleans). The team has three four-game road trips and one five-game trip. The Pacers’ television and radio schedule will also be announced at a later date.